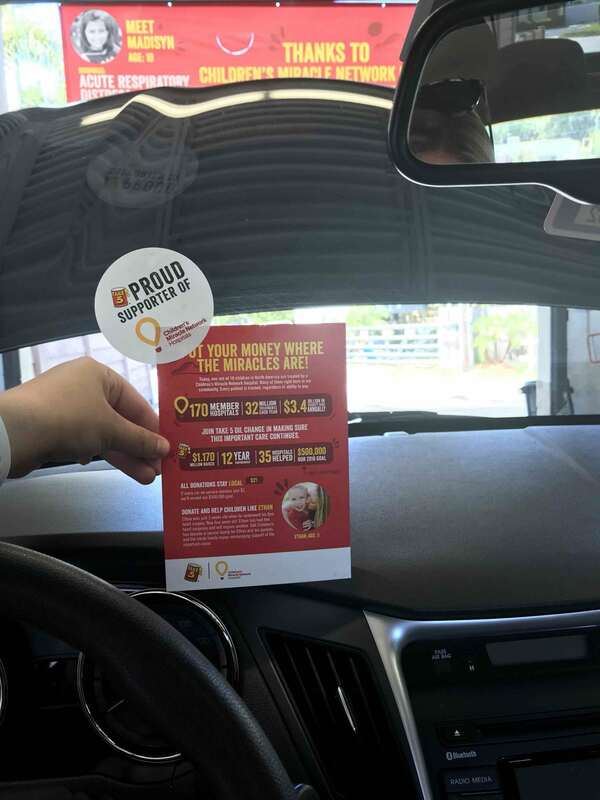 Over the past 12 years, Take 5 Oil Change and their family of quick lube brands have raised more than $1.17 million for Children’s Miracle Network Hospitals. In 2017, the company raised $426,506 to help sick and injured kids treated at CMN Hospitals. This spring, Take 5 is continuing to help make miracles happen by raising funds for a total of 35 local CMN Hospitals. On April 1, over 320 shops set out to raise $500,000 in their 12-week fundraising campaign, benefiting local hospitals across 20 states. Through June 30, shops are asking every customer to contribute towards their goal in support of their local CMN Hospital. Visit your local Take 5 Oil Change location and donate any amount to Children’s Miracle Network Hospitals. Customers who donate $2 or more will receive a ‘Proud Supporter” sticker. Our mission at Take 5 Oil Change is to set service standards and achieve customer satisfaction standards that exceed every customer’s expectation by maintaining the highest possible level of employee training and development. We first opened in Metairie, Louisiana in 1984 and we currently own and operate locations in states across the country! 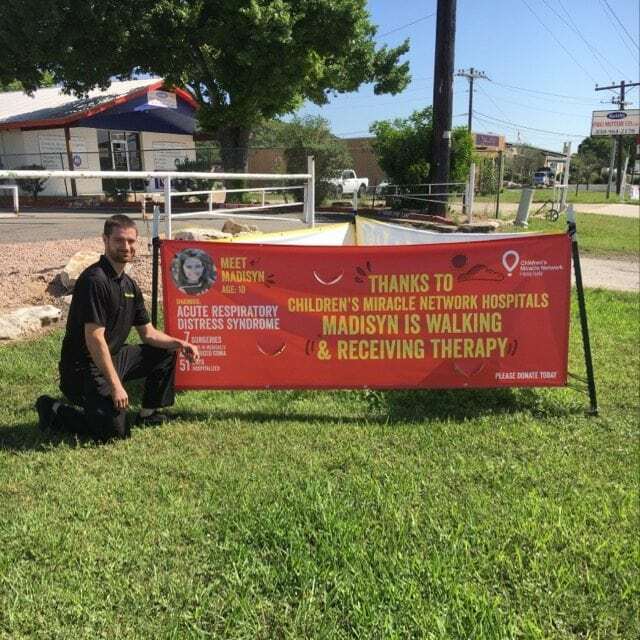 Click here to learn more about Take 5 Oil Change and their support for CMN Hospitals.